It was so hot yesterday that I spent the night at my sister's place. I napped. I watched some paranormal TV and then ordered a movie. 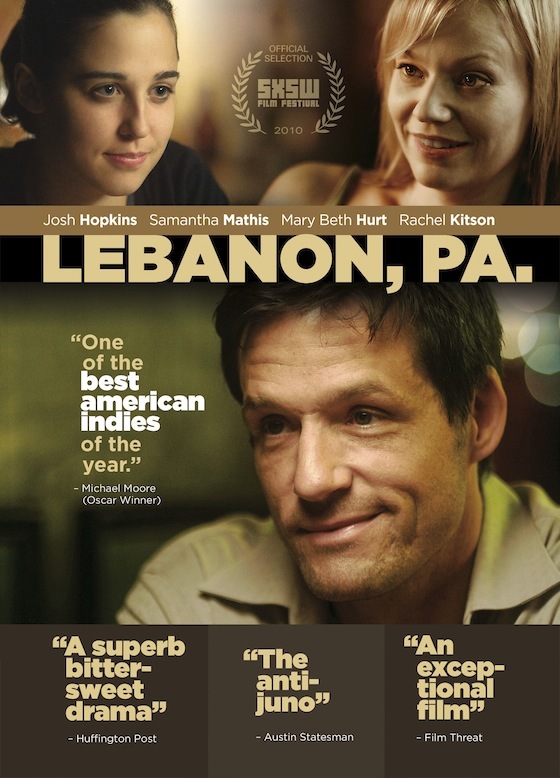 I chose a little indie flick by the name of Lebanon, PA. I was in the mood for this type of film and I really, really liked it! I wouldn't recommend it to everyone but if you're in the right frame of mind and have the same way of thinking as I do, you might like it as well. Lebanon, PA moved pretty quickly, the actors were fantastic and the music was nice. It's a drama/comedy but managed to make me laugh quite a bit. It was a smart film; very thought provoking. Rather than give a synopsis, I'll share with you the movie trailer below. It's a pretty good one.